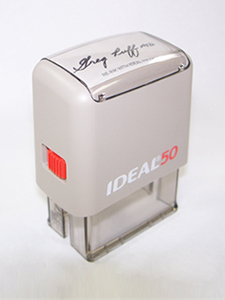 Imprint area = 1.5" x .5"
Imprint area = 2.25" x .875"
Due to the change in design, quanities of ink refills on older Ideal Self-Inking stamps may be limited. Imprint area = 2.5" x 1"
Imprint area = 3" x 1.5"
What's so eco-friendly about our new stamps? the original printy 4.0 saves up to 49%* co2 compared to its predecessor. climate protection projects specifically recommended by the WWF®. measures and certifies the actual reduction in co2 achieved. 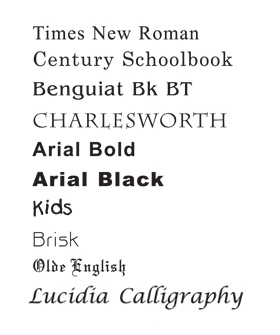 Choice of Fonts for Rubber Stamps Personalized Signature Stamps! Signatures can be submitted electronically via email as .jpg files, or mailed in. In either case please use a quality black pen on Blank White Paper.